Clinical trials and population studies provide evidence that added sugar to foods increases a person’s risk of diabetes and heart attacks. As opposed to naturally occurring sugars, which do not pose these risks. Eating more fruits and vegetables reduce one’s risk of premature death. There are studies that reveal that the risk of a heart attack is reduced by 7% for each portion of fruit eaten. Eating fruits is essential for overall health and wellness. Fruits are easy to eat anytime. To get the most out of fruits they are best digested when eaten alone or along with other fruit. They will provide the body with tons of energy and reduce digestive ailments. Eating fruits naturally promotes weight loss. They provide nutrients that the body requires to ensure proper absorption of fiber, vitamins, as well as healthy carbohydrates. 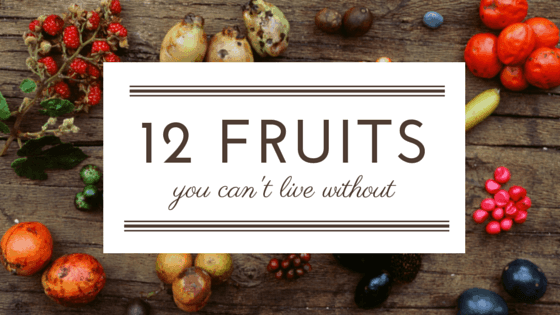 These 12 fruits are vital for good health!